A waterproof liquid liner that glides on with ease, won't smudge or run, and stays in place until you say when! The fine, marker-like tip is easy to use and goes on smoothly, without skipping, smudging, or pulling. Lasts all day! Our top selling liner. From a thin, precise line to a bold dramatic stroke, it glides on with ease, no skipping, smudging or pulling. Dries quick. Stays all day. Using the applicator on its side, apply short strokes right onto the lash line. Go back in with the point to fill in any detailed spots or edges. 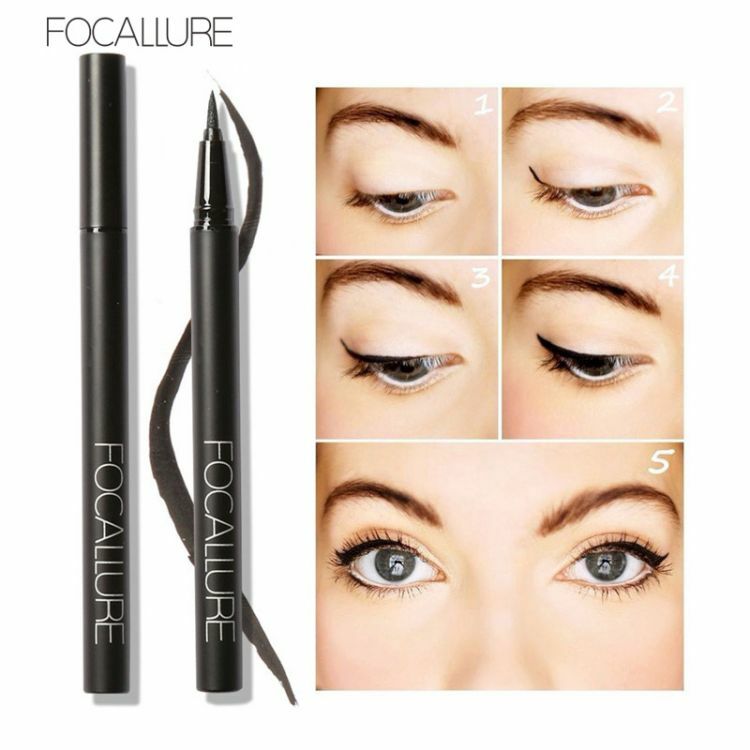 If creating a cat eye, use the point to sketch out your wing first. It’s the perfect tool.